Gavin and Joe Maloof are thought to have recently made the largest bet on the August 26 Floyd Mayweather versus Conor McGregor fight, with two tickets placed at the South Point Casino sportsbook totaling $880,000. The Maloofs are backing the favorite and their friend Mayweather at -550, meaning they stand to make a $160,000 profit should Money prevail as expected. The two businessmen say should the bets pay off, they’ll donate the proceeds to charities in Las Vegas and Los Angeles. The potential donations will be made in the name of Never Too Hungover, the Maloofs’ “hangover prevention” drink. That is, of course, assuming Mayweather wins. Otherwise, that $880,000 will go into the pocket of Michael Gaughan, owner of South Point. Sportsbooks in Nevada are competing to get every dollar possible for their handle, but at the same time mitigating their overall risk. Big bets like the one from the Maloofs often force oddsmakers to change their lines to decrease liability and get bets on the other side. For instance, South Point is now offering Mayweather at -600, and McGregor at +400. 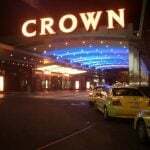 The equates to a net win of $146,666.67 for the massive Maloof bet, or $13,333.33 less. 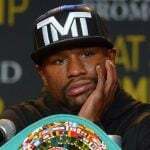 MyBookie, an internet sportsbook, apparently wants no more Mayweather bets. While most books in Nevada and online are around Mayweather -600 to -650/McGregor +400, MyBookie’s line stands at -950 on Floyd, +550 on Conor. Few boxing experts give UFC star McGregor, his first professionally sanctioned boxing match, much of a chance against perhaps the best fighter to ever put gloves on. But the majority of fans are hopeful a different story plays out at Las Vegas’ T-Mobile Arena later this month. According to reports from Nevada sportsbooks, roughly 95 percent of all bets are being placed on McGregor at long odds, with Mayweather receiving an estimated 15 percent of the handle. A McGregor victory would be devastating for most books (perhaps South Point aside). 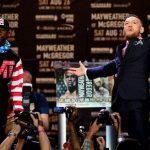 Early action was heavy on Conor, and oddsmakers anticipated more bets would come to Mayweather’s side as the fight approached. But that surprisingly hasn’t happened, at least to the degree some thought. The Maloofs empire began when their father obtained the exclusive distributing rights to Coors Beer in the southwest region of the US in the 1930s. Today, the family owns a small two percent stake in the Palms Casino Resort, which they built in 2001 but lost most of its stake in after the recession. 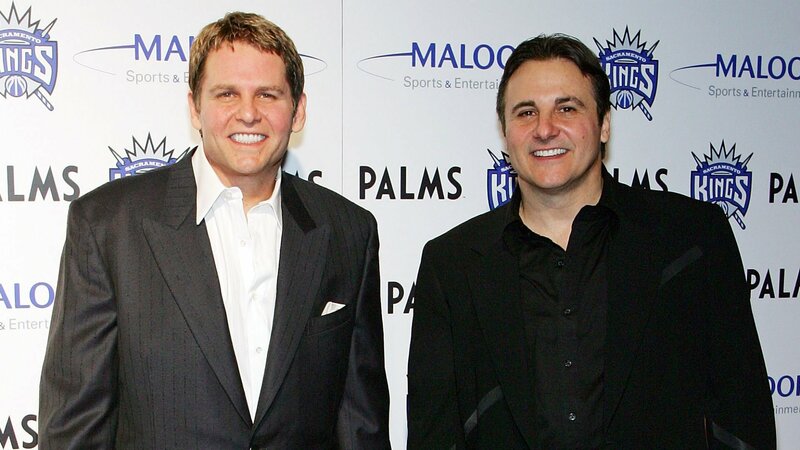 The Maloofs sold their 65 percent control of the NBA’s Sacramento Kings for $347.75 million in 2013, but have since acquired a 15 percent position in the Vegas Golden Knights NHL franchise.